Although I'm never overly happy seeing some of my traits imitated in my children (e.g. Big Sister E's lack of patience and Little Sister B's sneaky manipulation), I couldn't be more pleased that I've managed to pass on my love of books to them both. Chapter books, picture books, digital books, non-fiction, fairy tales, Easy Reader books — no matter what the topic or type, they can both often be found paging through books of all kinds as they get themselves lost in the words and illustrations on the pages. However, even though I will always have a soft spot in my heart for holding a physical book in my hand, it's hard to deny some of the benefits of creating a digital library. The instant access, the ability to carry it all with you on a single device, the knowledge that you're helping save a tree or two, and more. Plus, most recently, we've been introduced to a way for kids to get even more excited about reading with their favorite characters anytime and anywhere thanks to Disney Story Central. The largest collection of Disney digital stories, Disney Story Central features a wide array of Disney stories and characters that families know and love and is designed to encourage kids to develop a lifetime love of reading. 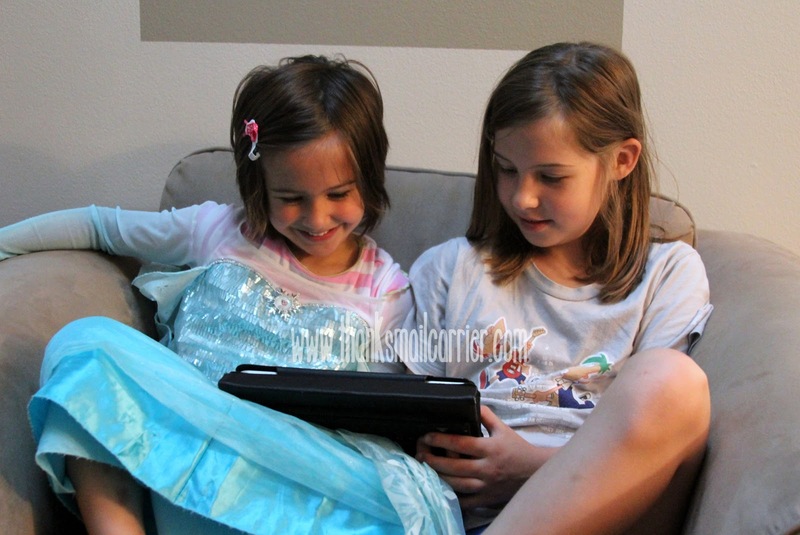 Whether you choose to utilize the subscription service (which gives kids unlimited access to Disney Story Central's expansive library of books for $7.99 a month) or the A La Carte option (which runs on a Disney Book Token system in which one token is worth one book download), kids are able to have a say in the books that they choose to read. How could a child not be thrilled when they are the one empowered to make decisions about what characters they want to read about, what specific books they get to read, and what is included in their collection of stories? As Disney Story Central is a cross-platform experience available via iPhone and iPad app, tablet-optimized website and Video on Demand (AT&T U-Verse), it didn't take long before we had the app downloaded and were browsing the expansive collection of Disney stories. Right away I appreciated the personalized book recommendations as a way to get started, while both of my kids were extremely excited to see the "Browse By Character" carousel. This lets them easily find books starring their favorite character from all of the Disney Franchises including Disney Princess, Disney Classics, Frozen, Doc McStuffins, Cars, and much more. As well as seeing Little Sister B's favorite princesses and Frozen characters and Big Sister E's beloved Toy Story and Monsters Inc pals, they were thrilled to see that Disney Story Central even has options for new and upcoming franchises. They have been excitedly waiting for Inside Out to debut but can now already start getting to know these fun characters through books! I love that each genre offers a variety of content levels, so no matter if you have a pre-reader, speed reader or anyone in-between, they will easily be able to find and select the books that work best. As a bonus, when your child has picked out the books that they would like to download, parents are able to first read a synopsis or preview the book to ensure that it is the correct level. While my kids would be happy reading books far too easy for them, I love that I can use this feature to make sure that we are in fact purchasing books that will challenge them just the right amount. Another great feature that Disney included is that children and adults have the option of reading the books themselves or having it read to them. Whether helping an emerging reader or simply to give Mom or Dad a break from reading nonstop, being able to choose what works for each situation is always best! 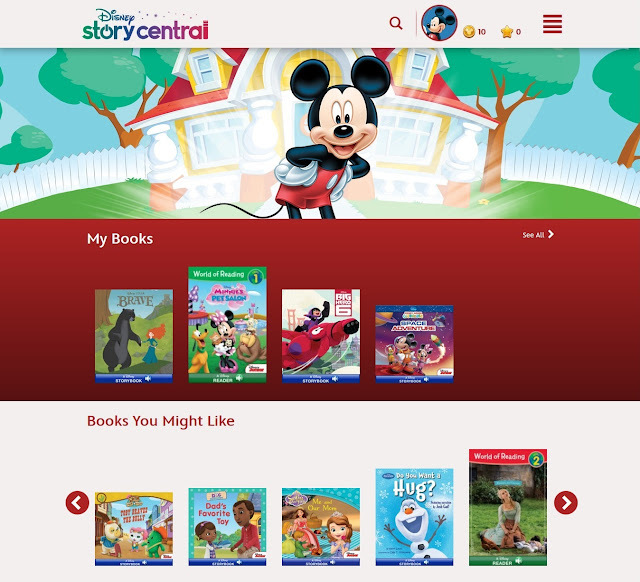 From the customizable bookshelves for each member of the family (each with personalized reading recommendations) to the Stars, Ranks, and Trophies that reward kids for reading and encourage them to keep it up, Disney Story Central is a great way to promote reading all summer long and beyond. 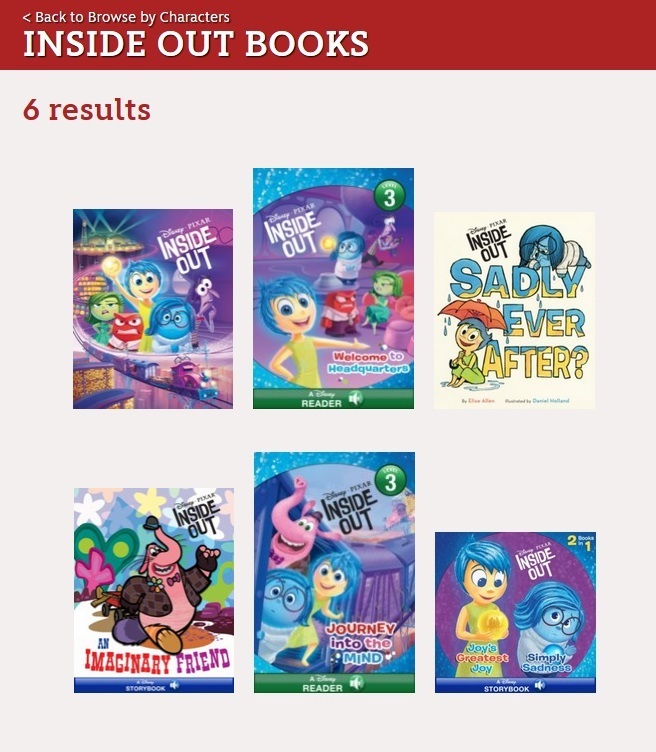 The entire library of Disney books are accessible right at kids' fingertips at home or on the go! If you have young Disney fans who love to read or might need a little encouragement, Disney Story Central allows them to immerse themselves into the world of their favorite characters at the level just right for them. Add in the fact that utilizing the Disney Story Central app will allow you to bring your library with you throughout summer travel, while waiting for appointments, for rides in the car, and more, and it's a win-win! 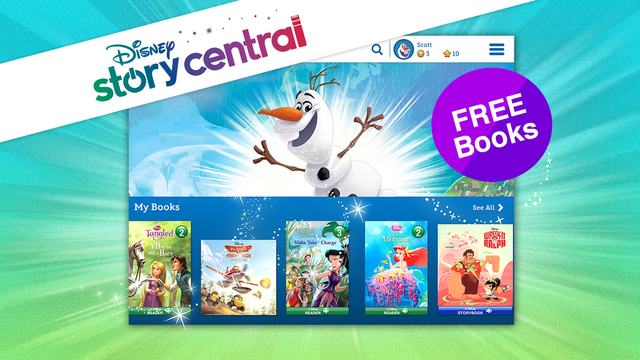 Head over to the Disney Story Central website today to find out much more and explore how this app can promote reading in your home and then visit iTunes to download it and get started (free with in-app purchases). But, wait! Right now there is even one more reason to sign up, as today is the kickoff for Disney Story Central's 'Mid-Summer Light Reads' Campaign. Running through August 13th, this campaign promotes weekly summer reading themes featuring selected Disney titles and offers chances to unlock free books each week and gain entries into the Mid-Summer Light Reads Sweepstakes! Don't miss out! I think all kids love Disney. I know mine do.